The collaborations between Jeph Loeb and Tim Sale are infamous. Together, they did the two seminal detective stories from Batman: The Long Halloween and its sequel, Dark Victory. The moody colors mixed with one of the most unique stylized artists in comics, all of which was used to craft some of the darkest tales that Gotham had seen. Superman is given the classic treatment with Superman for All Seasons, which really draws on the more cartoonish aspects of Sale’s art to present Superman as a mythological superhero that guards over earth with Godlike powers. At Marvel, their Yellow/Grey/Blue trilogy is foundational for seeing the core of Daredevil, Spider-Man, and The Hulk, respectively. Their love lives, their classic American presentation, and their internal battle all take center stage in Loeb’s scripts and Sale’s epid layouts. Now we are adding a fourth to that list of Marvel creations with Captain America: White, a miniseries that has been rumored for years. 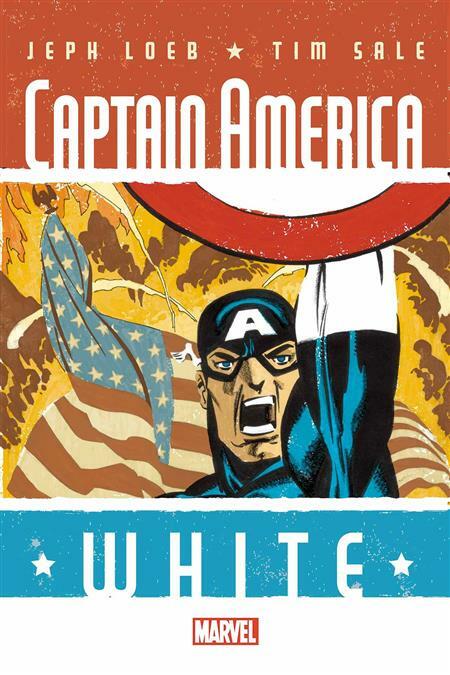 Now Captain America: White #1 is set to be released this coming September 16h, the first of a five issue series. Directly in line with what has been called the “color trilogy” that made up the previous Marvel books by the team, the story will follow Captain America during WWII when he first meets Bucky Barnes. Dave Stewart will be providing colors for the miniseries, which is a great addition as his heavy color work will be perfect with Sale’s period look. • CAPTAIN AMERICA AND BUCKY are ready to lead the HOWLING COMMANDOS, but are the HOWLING COMMANDOS ready to follow? • Things go from bad to worse and only Bucky can save the day! • Will a shocking appearance from an old ally turn the tide of battle? Interested in reading the Marvel “Color Trilogy” from Loeb and Sale?